Many thanks for taking the time to complete both links below! A/ iWantGreatCare: Please click on this link to leave a patient or colleague review. B/ Google Reviews: Please click on this Google review link for 'Dr Rick Seah' to leave a patient or colleague review. 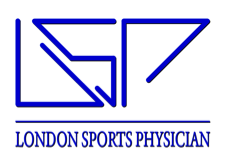 "I had an outstanding appointment with Dr Seah today to examine my pain in my left shoulder and back due to a sports injury. After a thorough general assessment and some posture examination, Dr Seah performed an ultra sound scan of my shoulder which was followed by some deep needle acupuncture around the pain areas in my shoulder and back. After the acupuncture treatment, I immediately could feel a difference and the overall pain level has been substantially reduced. Dr Seah, is a very friendly and caring person who explains in detail his procedures and treatments. I can only highly recommend Dr Seah for any sort of sports injury as he has a wealth of knowledge and treatment methods but also he made me feel very comfortable during my visit." "A first-class sports medicine doctor who treated my nephew's rugby injury. Highly recommended." "Dr. Seah is by far the nicest specialist I have met in the UK. Kind, personal and caring. He is a one stop shop by any means - treating different muscular conditions as well as consulting, checking, scanning and giving treatments (such as injections and acupuncture) by himself. If other specialists send you all over he does almost everything in his clinic. I came to see Dr. Seah in different occasions for different problems and always received the best treatment. I'm grateful to have met him!" "I had a shoulder injury due to swimming and after 6 months of pain I went to see Dr. Seah. I though I would never recover completely. Dr Seah understood my problem and solved after a few weeks. Now after 6 months I am fully back to normal and I can enjoy swimming again with no problem. Thank you! " "Dr Seah was very professional as was evident from the methodical manner in which he went about assessing and treating my muscular problem. He made it a point to explain his thought process and diagnosis sometimes even using visual aids to explain things. His active and open communication was a calming factor. He had a pleasant demeanor throughout my interaction with him."